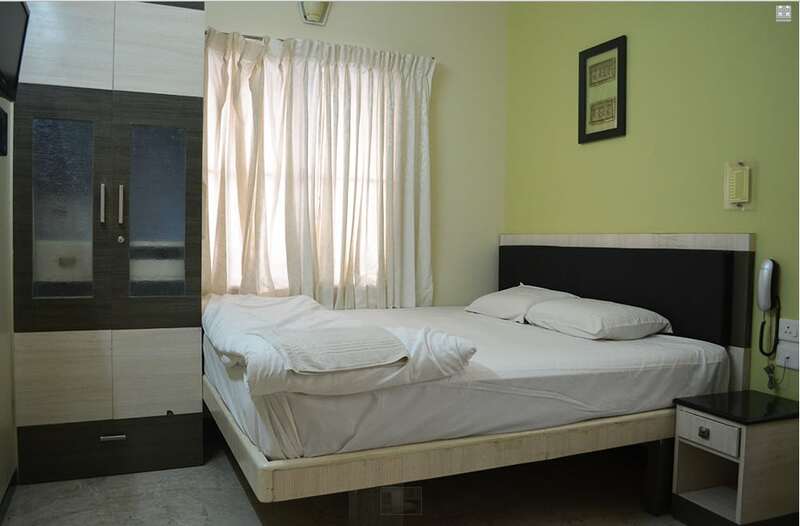 When it comes to long or short term rentals in Coimbatore, serviced apartments have fast become the preferred choice for leisure and corporate travellers alike.Hive Service Apartments in Coimbatore offers spacious, elegantly designed modern serviced apartments that include Air Conditioning, quality towels and linens, fully furnished kitchen and Free WiFi all as standard.Whatever your needs, whether it’s long or short term rentals, during your stay in our serviced apartments you will never have to travel far. Backup Generator, Parking, Exhibit Space, Security Guard, Doctor on Call, Room Service, Baggage Storage on Request, Family/Child Friendly, Breakfast Services, Health Club. Wakeup Calls, Cable/Satellite TV, H/C Water, Bathtub Only, Attached Bathroom, Bathrobes, Television Room, Air Conditioning Room. User reviews for "Hive Service Apartment Coimbatore"